Not every practice carries a full spectrum of eye care for all ages. 20/20 Eye Care not only boasts specialty services for complicated visual needs, but we provide comprehensive eye exams for the whole family as well eye emergency care for any urgent eye condition or injury and co-management for ocular disease and laser eye surgery. Our eye doctor, Melania Napolitano, O.D. of 20/20 Eye Care attends to each patient's visual needs with compassion, devotion, and professionalism. Patents from Middle Village & Mineola, NY and beyond come to our practices for our specialty services, such as scleral lenses fittings for irregular corneas, high prescription, dry eyes and Ortho-K for myopia control. We aim to keep you in the best of eye health! 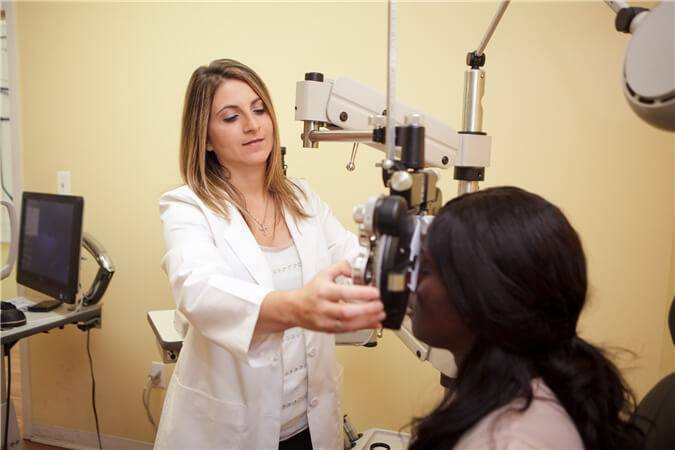 At 20/20 Eye Care, we equip our eye care centers with State-Of-The-Art (SOTA) optometry equipment to provide our clients with comprehensive and specialized services. Orthokeratology, or "ortho-k," is the process of reshaping the eye through specially-designed molds worn overnight. This process is often called "corneal reshaping therapy" or the "gentle vision shaping system." The goal of ortho-k is to flatten the front surface of the eye and thereby correct nearsightedness and astigmatism. Myopia is a refractive error, better known as nearsightedness. Typically, this vision condition appears in kids around the age of 8-12, during their elementary school years. Until recently, the standard treatment for myopia was always to prescribe eyeglasses – and that was it.